I don’t know if you’ve heard, but Miche is a new handbag brand, that has one of the coolest and most efficient concepts out there now! Beside having some really beautiful handbag designs, they have a great idea that started the brand. The way it works is that you first have to buy a base bag. Once you have your base bag, you have several shell options to choose from, depending on the base bag you’ve chosen. The shells are covers that go over the base bag, transforming the simple black bag into a new and beautiful bag in just seconds. Believe me, they have plenty of designs and styles! Last month I received an e-mail with an offer to review one of their bags. Honestly, at first I had no idea what Miche was, so I had to search it. When I realized what it was, I was immediately excited to check out their product. When I received my package two weeks ago, I was extremely excited to see which bag I would be reviewing. I received the classic black base bag, which is just a very basic black bag. It’s on the smaller side, but definitely more spacious than expected. I also received the Mimi Classic Shell, which I loved. It gave me a vintage feel, and I’ve always been a lover of vintage. I think my first concern, when placing my shell over the base bag, was that the two pieces came together with hidden magnets. I feared the shell might accidentally fall off at one point or another. With two weeks of using it though, it’s no longer a concern! Not once has the shell accidentally fallen off, not even with my hectic and rushed mornings heading to work. What I love about it is that you can’t even tell that it comes apart. You can easily fool anyone into believing you have 100 different bags! So my overall thought? I’m excited to make some of my very own Miche purchases! I’m thinking the Prima base bag and Caracas shell. Miche is definitely a brand you’ll love, if you’re a fashionable woman on the go. It gives you several sizes, designs and styles to choose from. Literally, in seconds you can have a new bag. So, if you’re like me, who doesn’t have time to switch bags daily, because we all know how much of a hassle that is, then you’ll love that you can easily have a new bag without having to dump all your products out and put them in a new bag. However, if you’re one that likes soft, collapsible, hobo type bags, the classic base bag might not be the type of bag for you. It’s on the sturdier side, giving it durability, so you might want to consider the Demi or Prima base bags. Specifically, the Mimi Shell and Classic Base Bag were spacious and durable. It was a very cute bag and perfect for dinner or a first date. The vibrant red is sure to capture several glances. I definitely have captured some glances along with several compliments, while I’ve been using mine. 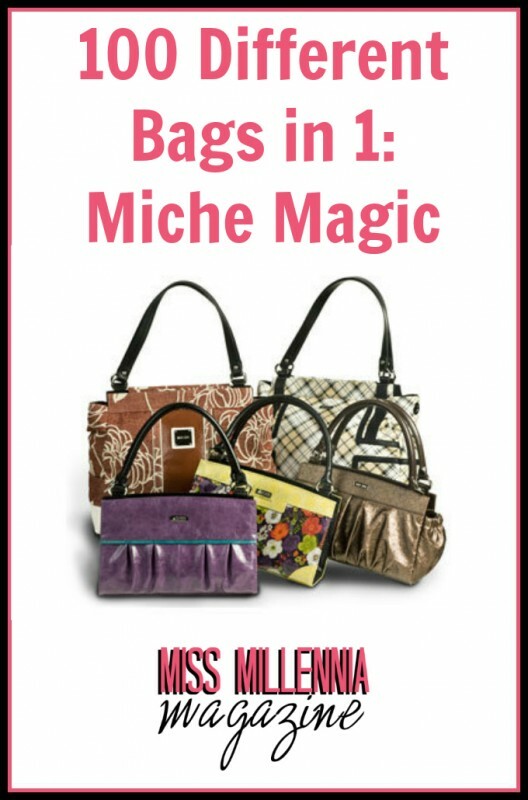 So, if you’re not afraid of the attention and you’re ready to have a few set of eyes on you, make sure to take a look at the beautiful bags Miche has to offer.